Your municipality can reduce its solid waste, avoid tipping fees, and recycle up to 5% of its solid waste. Trans-Americas Textile Recycling Co. provides NO-COST, turnkey solutions to recycling post-consumer textile waste. Trans-Americas will provide containers and transportation. Textile waste is valuable, worth a minimum of $100 per ton (delivered), currently worth more to most municipalities. Textile waste represents up to 5% of our landfills. As an end user Trans-Americas processes over 8,400 tons annually in our Clifton plant and provides a closed recycling loop to any municipality. Every ton of recycled textile waste creates two man days of semi-skilled labor. Nationwide companies like Trans-Americas provide more than 10,000 jobs, and textile waste has ranked as high as America’s eighth largest export. Trans-Americas currently recycles textile waste in more than 20+ municipalities nationally, collectively servicing approximately one half million residents. From 1997 to present Trans-Americas has recycled well in excess of +1,250 tons/ +2,500,000 lb. of post consumer textile waste diverting it from landfills. Many municipalities have increased their recycling revenue by up to 10%. See Trans-Americas in the News, Waste Age’s Recycling Times article. Trans-Americas’ textile recycling programs DO NOT compete with charitable collections. Textile recycling is a final alternative before the landfill. 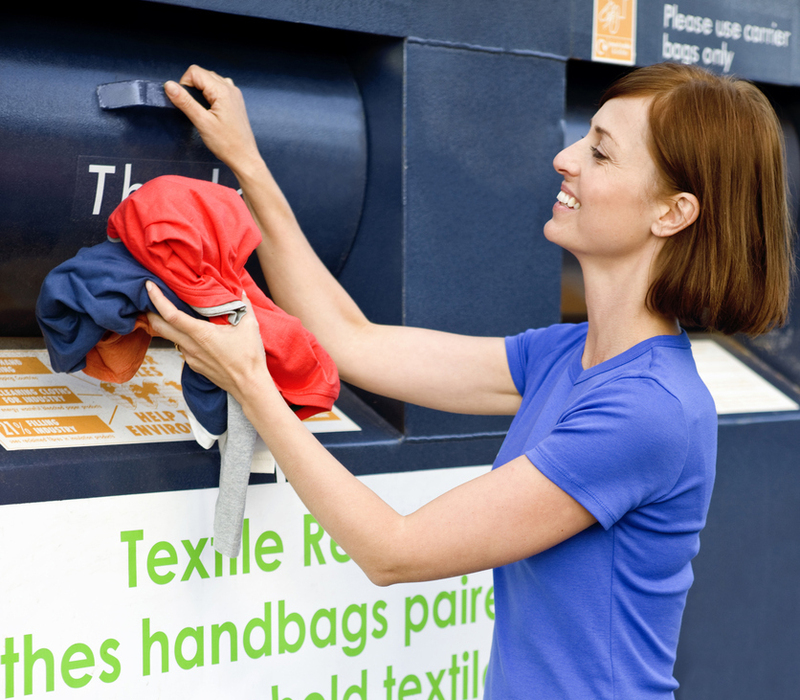 Many participating municipalities run charitable programs concurrent with their municipal textile recycling program. Neither Trans-Americas nor any of its affiliate companies are involved in the retailing of used clothing. Trans-Americas will provide educational materials to increase community awareness. Please read our Frequently Asked Questions about Textile Recycling. Or contact us at recycle@tranclo.com. Trans-Americas owns and operates a 3 acre, 65,000 sq ft/ 6000 sq m textile recycling MRF in Clifton, NJ. Tour our Textiles Materials Recycling Facility online. Recycling post-consumer textile waste since 1942, Trans-Americas is an end-user, processing 8,400 tons annually. Trans-Americas recycles textile waste in 20+ municipalities in the New York metropolitan area and East Coast. Trans-Americas offers no-cost, easy-to-implement textile recycling programs. As an end-user with underutilized capacity, Trans-Americas guarantees you a fixed-price, long-term market for your textile waste. Acceptable: Any used clothing item and household textile article such as pants, dresses, hats, shirts, drapes, curtains, blankets, towels, sheets, handbags, belts, and paired shoes. Not Acceptable: Material that is wet or mildewed from any liquid is not acceptable. Carpet, rubber, mattresses, and plastic toys are not acceptable. Recovered textiles must be dry, in clean condition, and free from contamination by water, chemicals, etc.